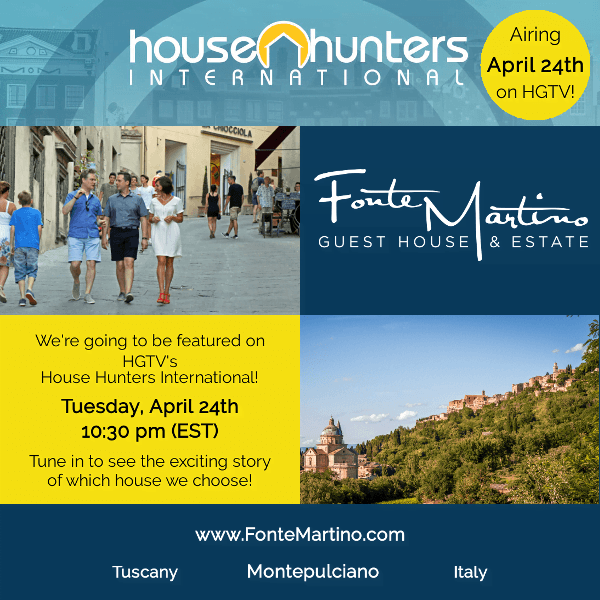 We hope you were able to watch our House Hunters International episode, The Full Montepulciano, which aired last night on HGTV! We want to start this posting with sincere thanks to HGTV, Leopard USA, the entire crew and especially our family and friends for making this possible. It was such an amazing experience and one that we will never forget! 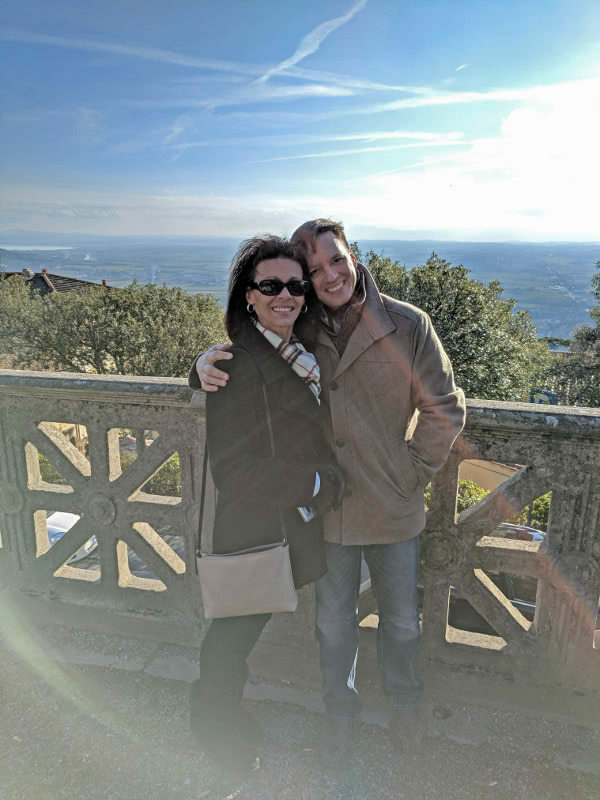 Most of you have been following our blog and know our story, but as a recap, we have been thinking and dreaming for years about moving to Italy. Once we finally got the courage to do it, we decided just for fun to contact HGTV. We have been watching House Hunters International for years and it’s always been one of our favorite programs. Seeing other brave couples taking a leap of faith gave us a lot of inspiration. Much to our surprise, HGTV contacted us and asked if we would send in an audition tape. This tape is something all of you will never see! Talk about embarrassing! We were instructed to keep it to a certain time frame and on our first try, we exceeded the limit by about 15 minutes. David is more to the point and Toby tells long stories! Needless to say, we needed to condense it down some. So, on our second attempt, we pressed record and amazingly met the time limit. Although hard to watch ourselves, we decided the audition tape was the best attempt and just sent it in… Much to our shock, we were contacted to take part in the show! We would like to share some of our favorite experiences during the filming. One of the best was meeting and working with the crew creating the episode. We had such a fun and memorable time with all of them and look forward to our paths crossing in the future! We were also fortunate to have a number of family and friends participate in the filming and are so grateful to them. 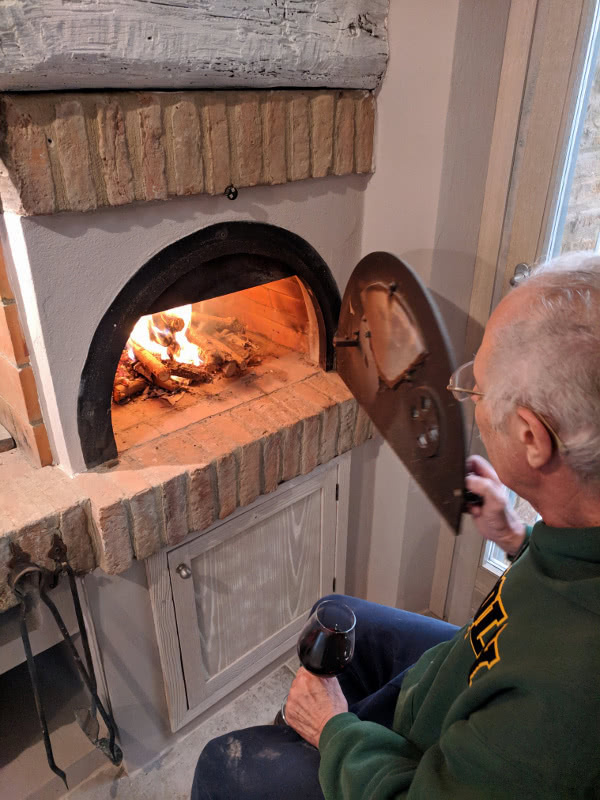 A huge thanks to our Italian language class and dear friends: Norman, Georganne, and Rich; our cherished friends Kim and Mike (Kim flew in from Portland, OR for the filming! ); our lifetime friends Chris and Cathy; and Toby’s mom Victoria (he’s a mama’s boy) and sister Jenn (who will never be the favorite!). Although, we learned that Toby’s sister had ulterior motives…now that the episode has aired, she is anxiously sitting by her phone waiting for Hollywood to call her! Bad collagen lip injections or wasp sting…you decide! One of the most memorable experiences we had was when we first arrived in Italy for filming. We arrived two days before hand and as luck would have it, Toby was stung by wasps on the lower lip! This set off a bit of a panic for us because he is allergic to bees. Being together for over 21 years, this was the first time David saw Toby get stung and he panicked a bit! Fortunately, everything turned out ok with the exception that his lip was swollen about 5 times its normal size! Being the little devil that he is, he texted a picture of it to his mom and told her that he got collagen lip injections for the filming that didn’t turn out right. His mom instantly knew what happened…Fortunately, by the time we started filming, Toby’s lip was completely back to normal. 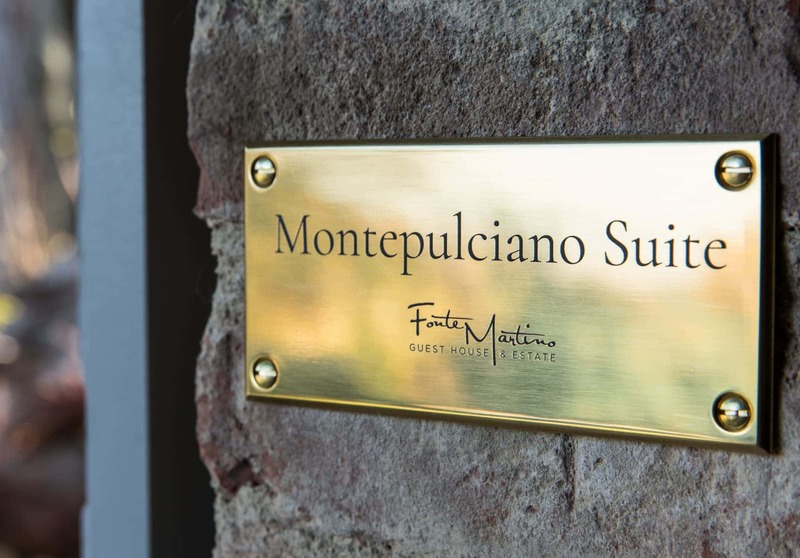 One of our favorite experiences while in Montepulciano, was taking a Vespa ride through the surrounding countryside. David was really excited to do this – he is an experienced scooter rider. However, Toby had a lot of hesitation riding with Evel Knievel David, but he reluctantly gave in. It turned out that we both had an incredible time and can’t wait to do it again! Cristina also joined us on the ride. Now let us paint you a picture: Cristina has natural Italian beauty and when you add to that her classic white dress along with her Ferrari red heels, she would make Sophia Loren envious. Now place her on a fiery-red Vespa and the scene was something out of a Fellini movie…Bella! For some reason, being able to “act natural” goes out the window as soon as the camera is pointing at you – it’s a very strange feeling. There were so many awkward moments that resulted in non-stop laughter! In fact, at one point, Toby was laughing so hard that the director put him in a “time-out” to collect himself (sorry Irene!). Another hysterical moment was when the three of us (Cristina, David, and Toby) unknowingly started to march in single file over plastic tarps on the floor as if we were in a Monty Python film. The director and crew (Irene, Matt & Joe) found this so hilarious that we had to put them in a time-out! So Enjoyed every moment of this episode! Definitely will not delete the recording so we can watch again and again. Our complements to all involved in the filming. Great job. Much luck Toby and David on your future endeavors. Oh…..those extreme fits of laughter! (I thought you would outgrow them, but that didn’t happen!) No matter what the situation, everyone would eventually end up laughing! So proud of both of you! HGTV did an outstanding presentation…one of the BEST shows ever! Love and Hugs to both of you! So thrilled watching the HGTV presentation last night. You Were both great to watch and did fabulous job. So excited to follow your dreams. Thanks so much for sharing. Look forward to seeing you and hugging in person. Coco…. *sigh – living the dream. I really enjoyed watching your journey on the short 30 minutes of the episode. Hopefully one day soon I can experience it first hand. Meanwhile I’ll probably just need to book a stay with you! Congrats! Watched the episode where you guys were looking to buy a place and turn it into a B&B, congratulations on your achievement. 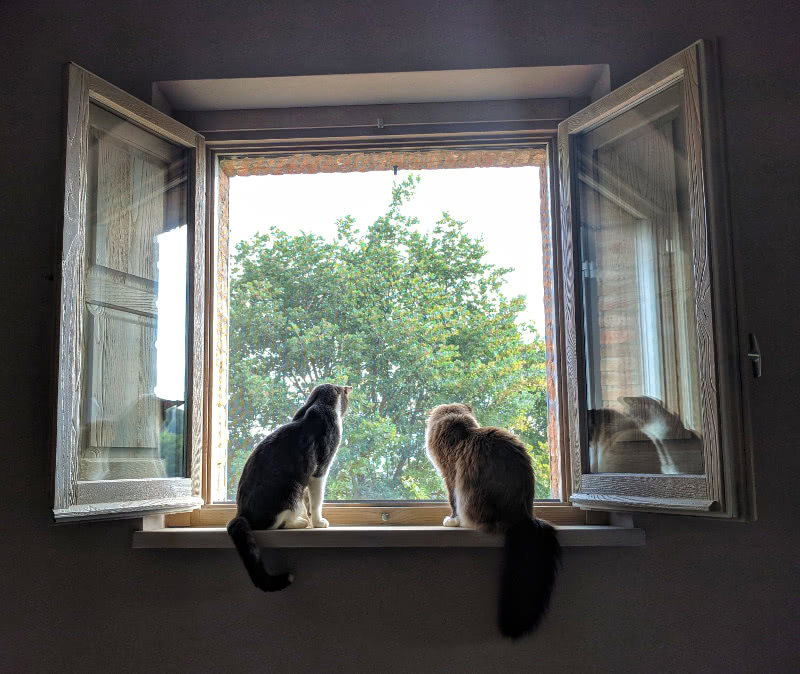 I will be going to Florence in March 2019 with 2 friends and would love to see your place, how would we get there from Florence without a car? Ciao Tony! Thanks for watching our episode and for the encouragement! Florence is about 1hr 20min from us. The best way would actually be by car, and if you would like, it would be our pleasure to send you a few names of car services. Just let us know! Grazie!